Bali is located at the very heart of the world’s richest marine biogeographic zone: The Indo-Pacific. The island receives very plankton-rich waters and so contains a stunningly diverse underwater ecosystem. Bali’s diving is a delight for underwater photographers and videographers. Bali is renowned not only for its variety of dive locations but also for the extra-ordinary density and diversity of marine life, with many sites for macro or wide-angle photography. While Bali’s fame as one of the top “must dive” destination for both amateur and professional underwater photographers has grown, so has AquaMarine’s reputation. AquaMarine is known as The Go-To Bali Dive Company for underwater photographers and videographers. 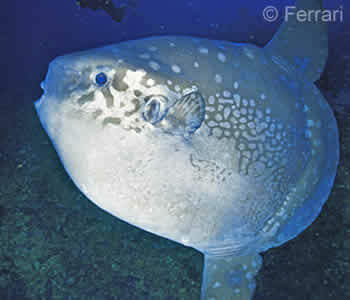 Interested to photograph Mola-Mola (Ocean Sunfish) in Bali? Put it on your Wish List! Guests sometimes choose to focus on a particular underwater photography subject, perhaps Mola-Mola or a particular group of marine life. We have conducted Bali Dive Safaris just for clams for example. Generally clients send us their Wish List so we can advise on the most suitable dive locations and sites based on seasons, tides, and so on. We have Safari Dive Packages designed specifically with photographers in mind. Programmes such as ‘Macro Photographers’ Dream‘ or ‘WYOS – Write Your Own Safari‘ are two of the most popular. Of course, we are happy to customise a programme to suit your particular interests. Whether you concentrate on one or two dive sites or prefer to sample the range of dive locations around Bali, we’ll set it up just for you. Tiny Hairy Shrimp (Algae Shrimp) - phycocaris simulans, Bali. AquaMarine's spotter guides are the best in Bali. AquaMarine boasts some of the best spotter guides in Bali. This means that many dedicated underwater photographers, both repeat and new guests, choose to retain a Private Guide. With a Private Guide they can focus entirely on the unusual or hard-to-find critters they are seeking. Our spotters have vast experience working with underwater photographers. They know where to look for the elusive critters you might want to see, and are totally familiar with the needs of our specialist divers. In fact, quite a number of return guests actually schedule their visits to Bali based on the availability of a particular guide! Are you just beginning to explore the world of underwater photography? Do you want to improve your skills? You might decide to do the PADI Digital Underwater Photographer Specialty course. This underwater photography course can be done either as part of your Dive Safari or on a Day Dive Trip. We are fortunate to have amazing muck-sites in Bali. Muck diving sites are shallow, muddy and bursting with critters. In particular, Secret Bay and Puri Jati are favourites for underwater photography. You can read more detailed descriptions on the Bali Muck Diving Sites pages. AquaMarine also has quite a number of unpublicised muck sites which we would be happy to include in any Underwater Photography or Videography Dive Safari. Just ask!